A martial artist knows…..Winners look for solutions; losers look to assign blame. None of us lives in a perfect world. Every day brings us unexpected problems of varying sizes. No one is immune to life’s bumps in the road. The larger question is how one handles the challenges of life. When a problem arises would you prefer to be around the person who looks to point fingers at everyone else, or the person who says “sorry” but takes no action, or the person who is not interested in whose fault but how to overcome the challenge instead. Society seems stuck with the first option – pointing fingers, assigning blame and spreading news (gossip) of the problem and blame wherever they can. The problem with this type of person is they strive to make themselves feel better by highlighting the short comings of others. They do not help resolve the problem, if anything they make it worse by distracting others with gossip, demoralizing those at fault and deterring those looking for the solution. Being focused on tearing other down instead of looking for real solutions bring nothing productive to the situation. While the person who tears others down is detrimental, the person who acknowledges fault but does nothing to resolve the situation is not useful either. While we appreciate they are willing to take responsibility for creating the problem it would be more helpful is they took the initiative to seek a solution. The third type of person does not get mired in pointing finger or stuck in accepting blame with no action. The problem solvers of the world do not find value in dwelling on whose fault it was – they recognize this behavior leaves them stuck in the past. Staying focused on the past does not move the situation forward to solution. They also recognize that acknowledging fault without action also leaves them no closer to solution than assigning blame does. A martial artist does not see problems in a normal light. Where others see problems martial artists see opportunities. Every problem creates a variety of potential outcomes. When viewed in this light the martial artist / problem solver focuses on optimizing the potential solution from all available solutions. The nature of martial arts training revolves around focusing on optimizing solutions. When someone is trying to strike you there are a number of outcomes: getting hit, evading the hit, blocking the hit, striking the adversary before their strike lands, The situation becomes more dynamic depending upon terrain, obstacles, number of attackers, avenues of escape, lighting, companions, etc… Every situation brings a multitude of facets to process and act upon. The goal is to be able to select the optimal solution not just one that works. Every training opportunity is viewed through this lens. For the martial artists the process of optimizing is their normal mode of operation. This applies to all aspects of their life, not just the world of martial arts. Martial artists are solution optimizers not finger pointers. A Martial Artist Knows… Confidence is the difference between knowing and wanting. We live in a society where everyone “wants” but few are willing to put forth the effort necessary to get what they want. This is true in the martial arts community as well. 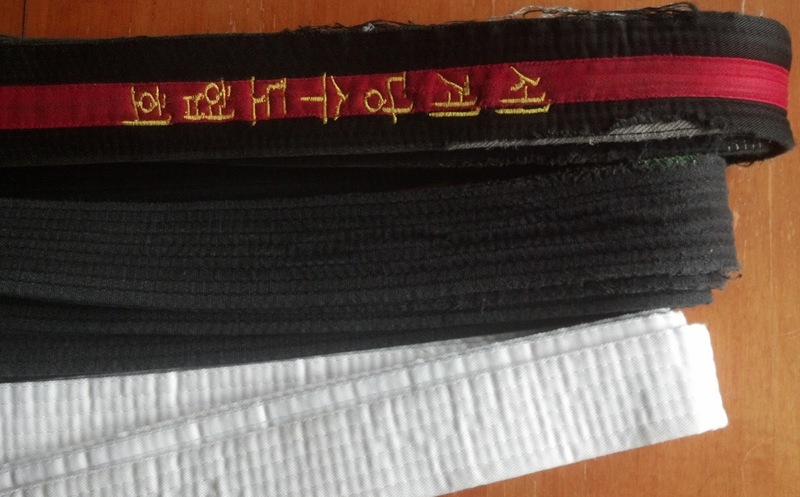 Everyone wants a Black Belt but regrettably most do not get much beyond the wanting stage. Wanting is the beginning of discovery. If the person who wants something understands that wanting is not enough – to make the want become reality requires action. At times it seems Newton’s laws of motion keep people from pursuing their wants. An object at rest tends to stay at rest, it does not move until an action is imparted upon it. Personal growth and development requires action otherwise it is just a want. When you want something, what are you willing to do to get it. Typically pursuing a want requires that you are going to need to forgo something else. Many express the want to become a Black Belt, or a professional sports player, or a millionaire, or a doctor, or a….. you get the idea. While all these are worthy goals, the questions becomes what are you willing to give up to achieve those goals. Typically the exchange involves time, effort, money or more typically all of the above. 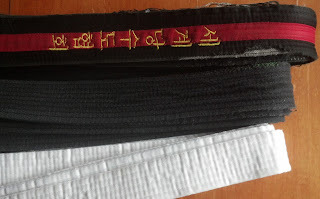 To become a Black Belt requires that you are going to give up some other activity in order to be taught a martial art and then also time to practice. Too often people are unwilling to exchange their comfort activities (watching TV, playing on the computer, hanging out in the bar) for an opportunity to grow and develop. They are therefore left wanting. A person who has made the sacrifices to turn their wants into realized goals understand what it took to get there. They willingly put forth the time, effort, and money to improve and enhance their personal growth and development. They “know” where they were, they also “know” where they are now and where they are heading to. They did not merely express a desire, they acted upon that desire. Once a person consciously enters a path of personal growth and development it becomes easier and easier to take their wants and turn them into action plans. Momentum builds as they realize their goals and refocus on new goals. This is a person of confidence. They become people others look to for advice and guidance. They rise to be leaders in their peer group, in their place of employment and in their communities. When they decide they want something they don’t just “want” it they “know” how to make it happen. The students who rise to Black Belt and beyond are people of confidence. Black Belts do not see obstacles, they see opportunities. They do not sit back and wait for others to give them what they “want” they go out and get it; realizing that there is great value in earning what they want. Once you have invested the time, energy and effort to earn knowledge no one can take it away. Confidence is a result of experience (“knowing”), experience comes from action, action derives from a plan and plans have their origin in a want. Are you prepared to move beyond just wanting and into real personal growth and development? A Martial Artist Knows …. Reality is not graded on the curve! I remember in college the students who would spend all night partying and then bomb out on the exam the next morning. Having fun was their priority not getting the task at hand done. When the professor handed out the grades these same individuals would ask if the exam/course would be graded on a curve. I was always dismayed when the professor would cave and pleased when they stood their ground. At that time I was a 2nd Degree Black Belt and understood there was no curve in the business world or on the streets – twenty plus years later experience has proven this to be true. In the real world, failure has real consequences. The business you work for will see real losses when you do not perform your duties. In a real physical confrontation you are going to suffer real pain if you make mistakes. In both the business world and a physical conflict there is no option for changing the results after the fact as is done in the academic world. 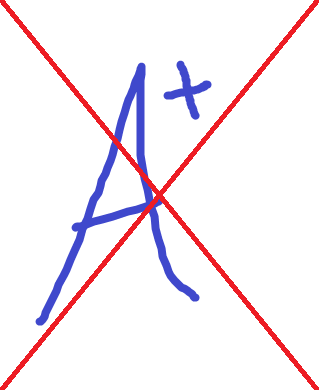 The academic world is providing short term satisfaction in allowing substandard performance to be counted as passing. In the long run however they are doing a great disservice to the students and society as a whole. The danger of grading on the curve is that the real results will ultimately trend downward as students learn over time that they can succeed (pass) while doing less work. A martial arts student learns early on that their progress is entirely a result of their own efforts and attitudes towards training. The harder a martial artist trains the stronger and more skilled they become. Furthermore, a martial artist understands that failure only happens when you quit fighting. Does this mean a martial artist wins (succeeds) in every encounter – no. It simply means that a martial artist learns from every conflict, every challenge, and every interaction. Difficulty creates learning opportunities; learning from ones mistakes makes them wiser, stronger and more prepared to succeed next time. Or better stated - more prepared to realize a higher level of success next time. A martial artist is also not satisfied with winning. A martial artists seeks to improve upon their performance at every opportunity. It becomes part of their hard wiring. Win or lose in a conflict the martial artist analyzes their performance and looks for a way to improve upon the results next time. In the real world if you do not learn from your mistakes you will repeat them – this will cause financial loss or physical pain or both depending on the environment of operation. A person who has been taught that their substandard performance will be accepted as passing is unprepared for the real word of real consequences. The question becomes who do you want to be surrounded by: those who have been artificially allowed to pass or those who understand how to learn from every encounter? There is a reason why my friends are martial artists – they have a better understanding of reality. There is a reason why time and time again I see my students be high achievers in the academic world and more importantly leaders in the businesses that hire them – they have a better understanding of reality. Simply stated - martial arts helps a student learn to excel in the real world because it teaches them to accept real results.